The idea of cheat meals may seem a little counter intuitive at first. Why spend all week sticking to a strict, calorie controlled diet, only to undo it all in one evening of indulgence? But, on the other hand, many people struggle to keep going on their healthy path when there’s no chocolate covered end in sight. These people claim a cheat meal helps them stay on course. It’s these two schools of thought that have divided the health world when it comes to ‘cheating’. But, as always, I like to look at the science. And the science seems to say that cheating on your diet can actually be beneficial in a number of ways! 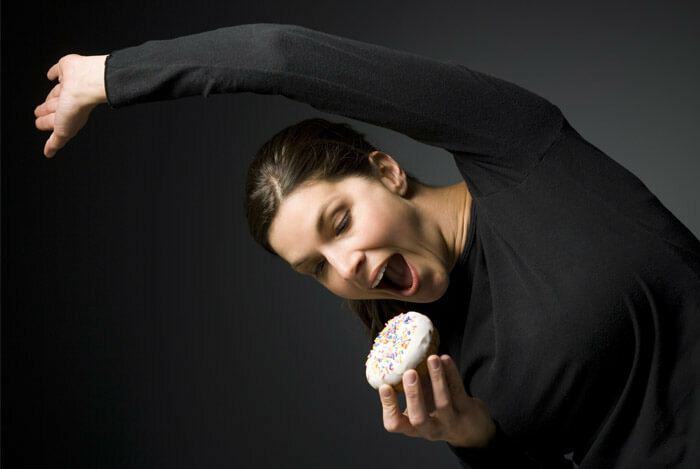 Yes, you read that correctly – indulging your sweet tooth may just help your weight loss goals. So here they are – five reasons, backed by science, which demonstrate that cheat meals are a good thing. Make sure to check out my tips at the bottom of the article that show you how to cheat right, and how to deal with falling off the wagon. Our appetite is controlled by more than just what’s in our bellies! 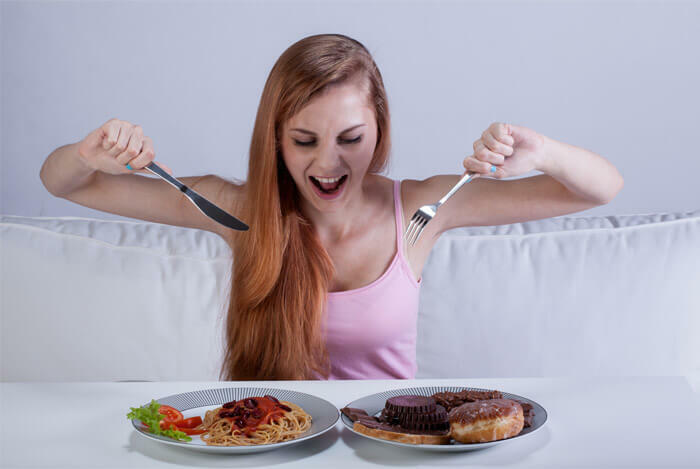 Two hormones – ghrelin and leptin – play a huge role in how great and how frequent our hunger pangs are. 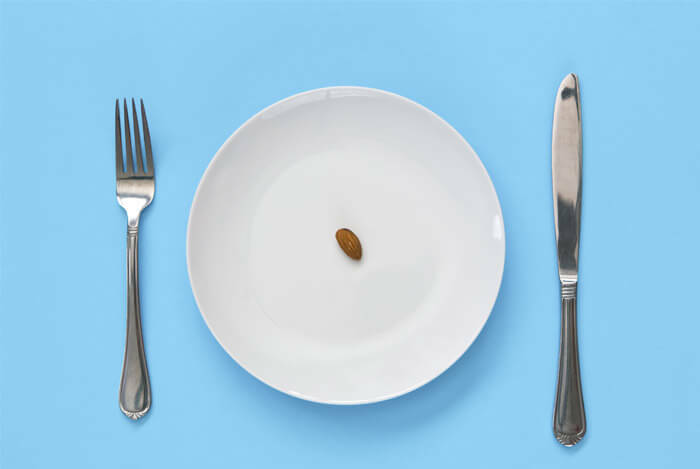 Leptin is known as the appetite-suppressing hormone, while ghrelin is the hunger stimulating one. Research has shown significant changes in the levels of both leptin and ghrelin within 24 to 72 hours of fasting. When we stick to a calorie restricted diet, we may be causing our leptin levels to fall, and our ghrelin levels to rise. By temporarily increasing calorie intake – through a cheat meal – our bodies can regulate the levels of these hormones in our body, causing our appetite to be kept in check. One study has shown that leptin production can be boosted by almost 30% for up to 24 hours after indulging in a carbohydrate-rich meal. As leptin levels can drop within days of fasting, and the effects of cheating can last for 24 hours or so, it might be a good idea for some people to actually schedule in regular cheat meals to take advantage of these time periods. It’s important to note that levels of leptin in the body are lower when you’re thin and higher when you’re fat. So if you’re just beginning on your weight loss journey, you have less of a need to cheat on your diet than those who are near their ideal weight. The research still isn’t completely clear if this kind of short-term overfeeding really boosts energy expenditure much, but it does help you experience a truly satisfying meal that you may have been missing. I’m a firm believer that a little treat can help you stick to your weight loss plan – notice I said a ‘little’ treat! If you’re one of those people who reward yourself with a movie night, new shoes or spa day when you reach a milestone on your weight loss journey then you’re onto something. Recent research has found that giving yourself an incentive or reward for a job well done can be an effective strategy. A review, published in 2014 in the Journal of the Academy of Nutrition and Dietetics, analyzed the findings from 12 studies on the topic of incentives and dietary behavior. Of those examined, 11 found a positive association between incentives and dietary behavior change – at least in the short term. For many people, these incentives and rewards may be food based and come in the form of a cheat meal. Once you know your caloric boundaries, it can be a perfectly acceptable and enjoyable form of reward. Are you the kind of person who gets intense cravings for particular foods, especially when you know they’re off limits? But having a well-timed cheat meal may help you overcome your cravings and see you reach your ideal weight. Having a small treat every now and then can give you the strength to avoid overindulging. Cheating on your diet doesn’t mean you have a license to eat anything and everything around you. A ‘cheat meal’ means just that – one meal. It doesn’t include an appetizer, half bottle of wine and a dessert! The 90/10 Rule: This means that 90% of your weekly calories should come from healthy, whole foods while 10% can come from your cheat meals. Don’t Cheat More Than You Have To: Plan just one cheat meal a week if you have a lot of weight to lose. 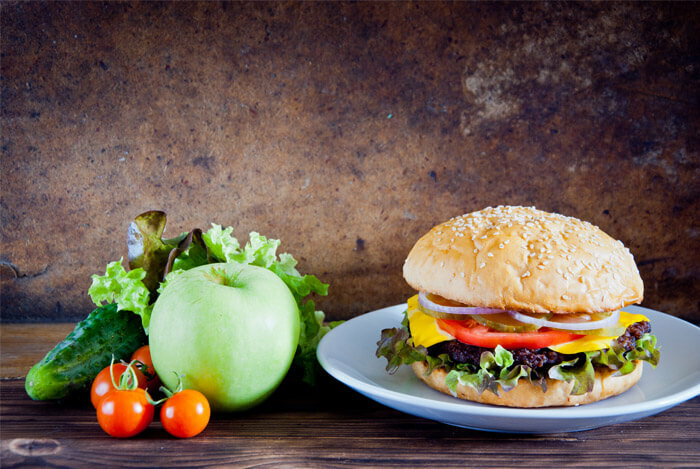 Turning a cheat meal into a cheat day…or cheat week…can happen to the most health conscious among us at one time or another. Don’t give up altogether though – falling off the wagon isn’t the end of the road. This kind of all-or-nothing thinking is what Alan Marlatt, director of the Addictive Behaviors Research Center at the University of Washington, calls the abstinence-violation effect (AVE). Instead of continuing on the path of binge eating, stop and accept you made a mistake. Learn from your slip-up and ask what you can do differently next time. Maybe you had too much junk food in the house. If that’s the case, only buy enough for one cheat next week or eat out instead. Or maybe you decided to cheat when you were feeling upset or angry and couldn’t stop! Next time save your cheat meal for another day when you’re in better spirits. What’s your take on cheat meals? Have anything else you’d like to share? Let me know in the comments below!